Straw green color. Bright, fruity aromas and flavors of banana custard, pear, and melon with a silky, bright, fruity medium-to-full body and a tingling, interesting, medium-length finish with accents of caramel apple and pineapple-lime gelato with light oak flavor. A fun zesty white wine blend. Bottom Line: A fun zesty white wine blend. 90 • Kiara 2014 Private Reserve, Merlot, Paso Robles 13.9% (USA) $16.00. 90 • Kiara 2015 Private Reserve, Sauvignon Blanc, Paso Robles 14.8% (USA) $16.00. 92 • Kiara 2015 Private Reserve, Sangiovese, Paso Robles 14.8% (USA) $16.00. 91 • Kiara 2016 Private Reserve, Viognier, Paso Robles 13.9% (USA) $16.00. 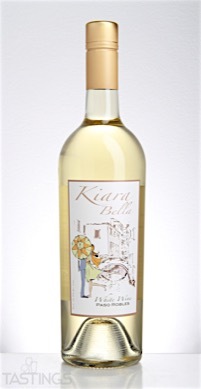 90 • Kiara Bella NV White Wine, Paso Robles 14.3% (USA) $13.00. 90 • Kiara Bella NV Red Wine, Paso Robles 14.5% (USA) $13.00. 87 • Kiara Bella 2016 Rose, Paso Robles 14.5% (USA) $14.00. 84 • Kiara Bella 2016 Moscato, California 11.5% (USA) $12.00. 91 • Le Vigne 2015 Sauvignon Blanc, Paso Robles 14.9% (USA) $17.00. 94 • Le Vigne 2013 Di Domenico, Sangiovese, Paso Robles 14.8% (USA) $31.00. 90 • Le Vigne 2014 Cabernet Sauvignon, Paso Robles 14.6% (USA) $21.00. 92 • Le Vigne 2014 Merlot, Paso Robles 14.6% (USA) $19.00. 89 • Le Vigne 2015 Chardonnay, Paso Robles 14.6% (USA) $18.00. 92 • Le Vigne 2014 di Ranchita Vista, Cabernet Franc, Paso Robles 14.1% (USA) $39.00. 86 • Le Vigne 2014 di Ranchita Vista, Petite Sirah, Paso Robles 14.9% (USA) $41.00. 92 • Le Vigne 2014 Cuore della Vigna, Paso Robles 14.2% (USA) $42.00. 89 • Le Vigne 2014 Nikiara, Paso Robles 14.4% (USA) $45.00. 94 • Le Vigne 2014 Ame de la Vigne, Paso Robles 14.2% (USA) $43.00. 87 • Le Vigne 2014 di Domenico, Cabernet Sauvignon, Paso Robles 14.6% (USA) $38.00. 93 • Le Vigne 2014 di Domenico, Grenache, Paso Robles 15.3% (USA) $36.00. 95 • Le Vigne 2014 di Domenico, Malbec, Paso Robles 14.3% (USA) $37.00. 94 • Le Vigne 2016 Il Fiore, Viognier, Paso Robles 14.9% (USA) $23.00. 85 • Le Vigne 2016 Rose, Paso Robles 13.9% (USA) $18.00. 84 • Le Vigne 2016 Sauvignon Blanc, Paso Robles 13.8% (USA) $18.00. 88 • Le Vigne 2015 di Acquarello, Merlot, Paso Robles 14.1% (USA) $39.00. 92 • Le Vigne 2017 Chardonnay, Paso Robles 14.2% (USA) $18.00. 87 • Le Vigne 2017 Rosé, Paso Robles 14.2% (USA) $18.00. 90 • Le Vigne 2015 Cuore della Vigna, Paso Robles 14.8% (USA) $42.00. 82 • Le Vigne 2017 Sauvignon Blanc, Paso Robles 14.6% (USA) $18.00. 86 • Le Vigne 2015 Petite Sirah, Paso Robles 15.1% (USA) $25.00. 88 • Le Vigne 2017 Il Fiore, Viognier, Paso Robles 13.5% (USA) $23.00. 88 • Le Vigne 2015 Ame de la Vigne, Paso Robles 14.7% (USA) $43.00. 87 • Le Vigne 2018 Sauvignon Blanc, Paso Robles 14.2% (USA) $18.00. 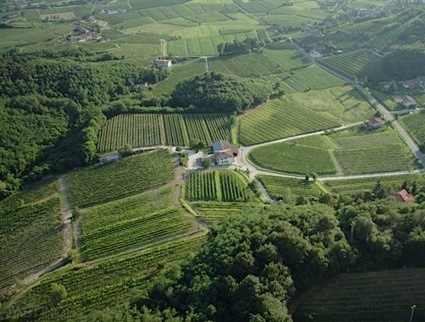 While white varieties such as Chardonnay, Sauvignon Blanc and Riesling are very important throughout wine regions in the US, there are numerous others planted in various zones. In California, Italian varieties such as Pinot Grigio and Arneis can be found, while producers in Santa Barbara and Paso Robles work with white Rhone varieties such as Marsanne and Viognier. New York State works with hybrid grapes, both French and American. Among these are Cayuga, Seyval Blanc and Vignoles. This last grape is also grown in various Midwest states such as Missouri, Indiana and Illinois. Kiara Bella NV White Wine, Paso Robles rating was calculated by tastings.com to be 90 points out of 100 on 3/10/2016. Please note that MSRP may have changed since the date of our review.